Iowan FFA members work on a fence. 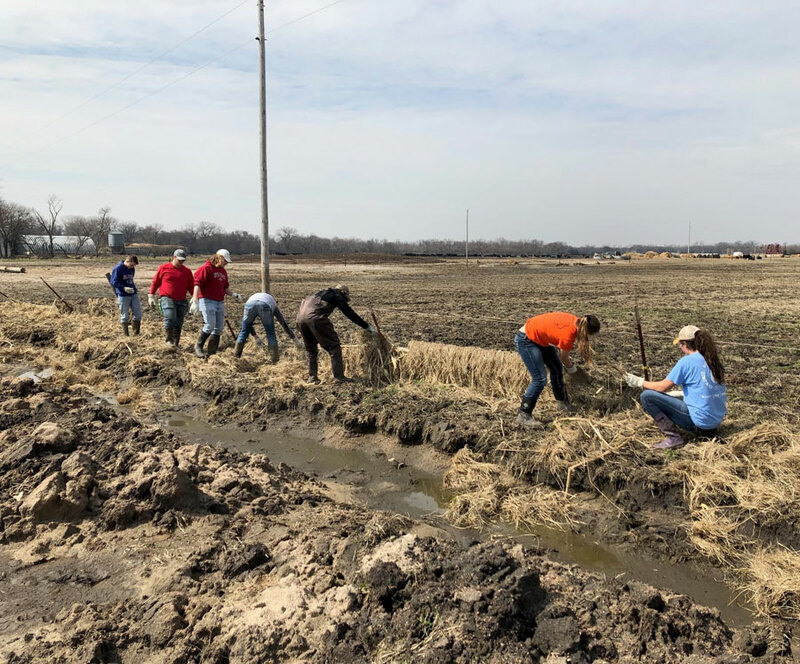 Some two dozen Iowa FFA members from Charles City and Rockford took a six-hour trip to east-central Nebraska over the weekend to provide manpower and supplies to a flood-stricken family. The Platte River left its banks near Schuyler, Nebraska, and raged across corn fields, feed yards and swept away a third of the operation’s 2,500 head of cattle. 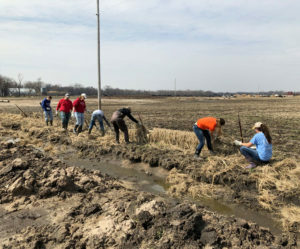 The FFA members picked up and rebuilt fences destroyed during the record-setting event. The rancher, Wolfe, says the random act of support from the 25 students was overwhelming. “It’s nice to see kids wanting to come help,” Wolfe says. 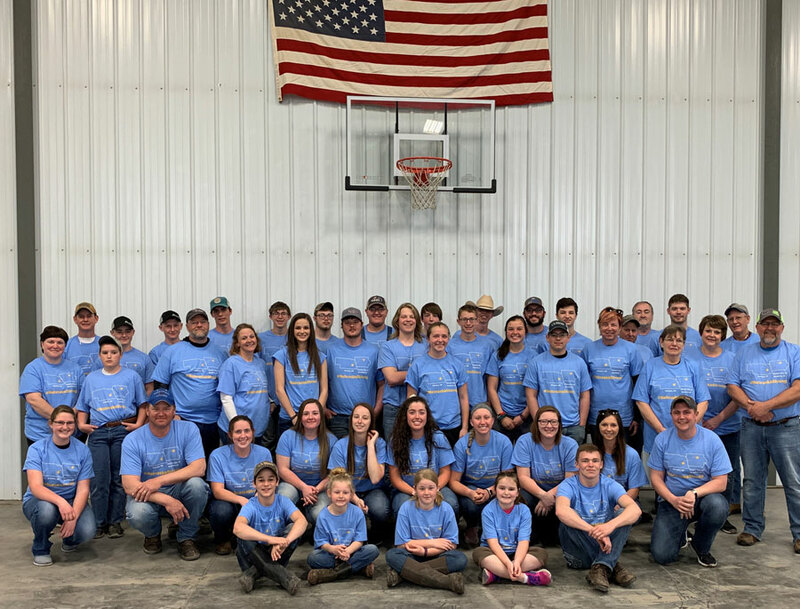 “There’s been a lot of that but it’s pretty amazing.” Rockford FFA member Sawyer Salisbury skipped a benefit Saturday for his own family who lost their house in a fire on February 2nd to go to Nebraska. “When my house burned down, everybody was there to help me so I figured I’d go help someone else in need,” Salisbury says. FFA members who helped flood victims. FFA members raised $3,500 during a two-hour “radiothon” to help offset the costs of the trip. Another $2,500 came in later that’s being donated to the hastag-nebraska-strong cause. Rockford FFA member Jayden Jorgensen says the experience is something she’ll never forget. 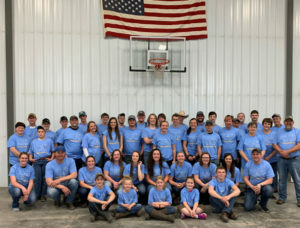 “This is where you learn your life lessons, respect for others, respect for livestock, compassion, all of those good qualities that makes a good community member,” Jorgensen says. The Floyd County Cattlemen’s Association joined members on the trip. Several businesses and organizations in Schuyler provided meals and hotel rooms.